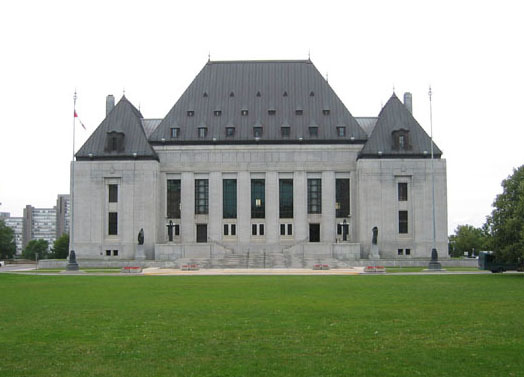 The CIPP and Prof. Katz granted leave to intervene by the Supreme Court of Canada in Keatley Surveying v. Teranet Inc. The CIPP is very pleased to report that, on November 15, 2018, we were granted, along with Professor Ariel Katz, leave to intervene by the Supreme Court of Canada in Keatley Surveying v. Teranet Inc. In this case, the respondent (Teranet Inc.) “manages the Province of Ontario’s electronic land registry system (the “ELRS”). Documents that were prepared by land surveyors such as drawings, maps, charts and plans (collectively “plans of survey”) are registered in the ELRS. The public can obtain on-line copies of registered plans of survey through the respondent for a fee prescribed by statute, no part of which constitutes fees or royalties paid to the land surveyors who prepared them”. The applicant (Keatley Surveying) “is the representative plaintiff in a certified class action brought on behalf of approximately 350 land surveyors whose plans of survey were scanned and copied into the respondent’s digital database and made available on-line. The applicant claims that the respondent is in breach of copyright by reaping substantial profits at the expense of surveyors. The Ontario Superior Court of Justice dismissed the applicant’s motion for summary judgment, granted the respondent’s motion for summary judgment and dismissed the class action. The court found that as a result of the legislative regime requiring registration or deposit of the plans of survey in the land registry office, ownership in the property of the plans of survey, including copyright, is transferred to the province. They are then “published by or under the direction or control of Her Majesty” pursuant to s. 12 of the Copyright Act. The Ontario Court of Appeal dismissed the appeal, holding that provincial Crown copyright is by virtue of s. 12 of Copyright Act, not the provincial legislation”. Supreme Court of Canada, Summary Case #37863, online: <https://www.scc-csc.ca/case-dossier/info/sum-som-eng.aspx?cas=37863>. This content has been updated on November 17, 2018 at 12:15.